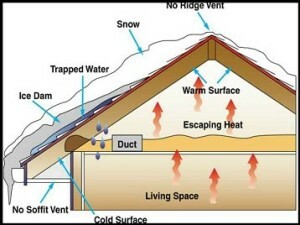 Ice Damming, The Facts About – By Your Knowledgeable Local Roofing Contractor - WCC ROOFING CO.
Should you encounter a leak due to ice damming, the first priority we suggest is to have the ice dam physically removed so water can drain off of the roof. This should provide immediate relief from leakage. The next step would be to have permanent repairs completed which may “help” prevent further occurrence. Permanent repairs may simply involve one procedure, or may involve numerous procedures, depending upon the specific conditions relating to the structure. 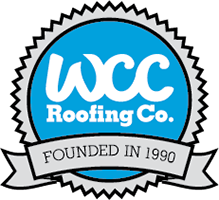 For roof related issues, you can count on WCC Roofing Co. (your most trusted & knowledgeable roof contractor) to provide a thorough assessment of the specific conditions of concern, followed by a free written proposal for any roof repairs we may suggest.